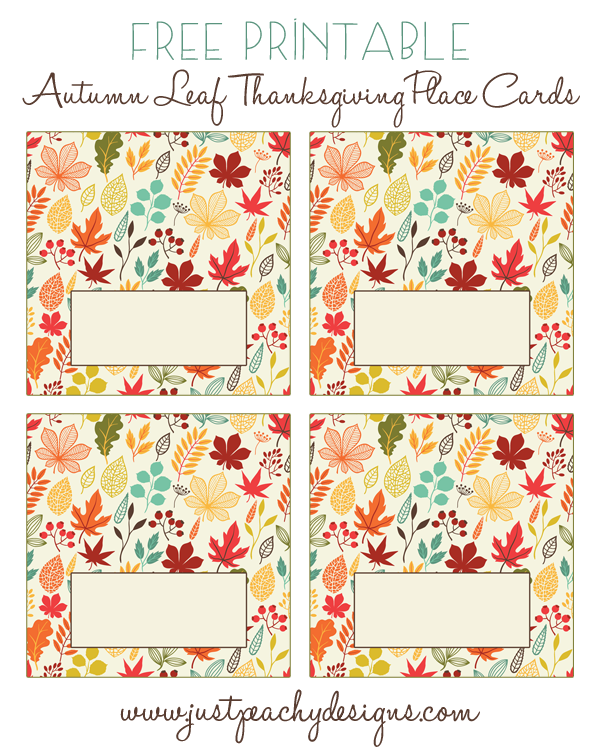 Here's a set of leafy place cards for your Thanksgiving table. To download, just click the above image. Once printed, simply fold each card in half lengthwise, write your guest's name, then set on the table.